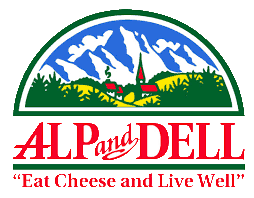 Alp and Dell Cheese Store is open 7 days a week, Monday – Friday 9am till 6pm, Saturday 9am till 5pm and Sundays 10am till 5pm. We are closed New Year’s Day, Easter, Thanksgiving and Christmas Day. To make a reservation for a cheese tour, please call: 608-328-3355.